In the heart of Pennsylvania’s downtown you will find the home of one of the most important symbols of liberty in the United States. Its the cracked bell that is in exposition in front of Liberty Hall since 2003. In 1751 a bell was ordered in London by the Pennsylvania Assembly for the State House to commemorate William Penn’s Charter of Privileges. Since 1753 it rang for the Pennsylvania State House to call lawmakers to their meetings or the people to hear the news. One of the most important times it rang was in July 8th, 1776 for the first public reading of the declaration of independence. The bell cracked after the first time it rang, they recast it twice, added more cooper and silver, and after more than 90 years of use it was possibly cracked fatally in 1846. A light crack was repaired a year before, but it was not until the commemoration of George Washington’s birthday that the Liberty Bell rang for the last time. By the 1960’s the crack was already part of its beauty. Years later Bell’s custodians traveled with the bell to several expositions around the country. 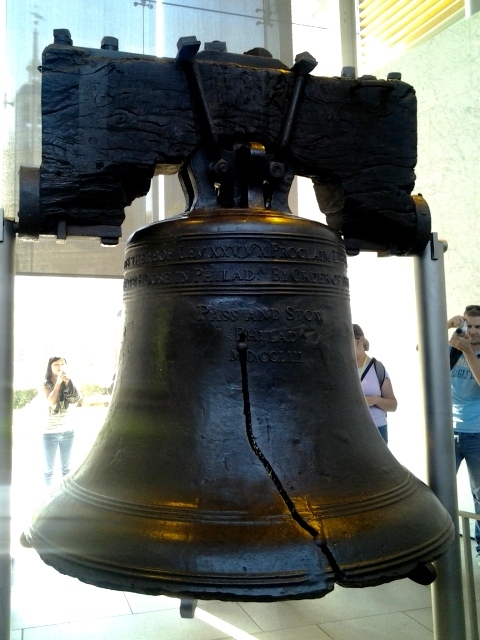 This also caused more damage since some people might have been take pieces of the bell as souvenirs. In 1915 a metal “spider” was installed to prevent more crack damage. The exhibit is very informative. With videos, written facts(in different languages), and photographs you will learn how abolitionists, suffragists and other groups adopted it as a symbol of freedom. Leaving best to the last, the exhibit leads to the Liberty Bell. You will be able to walk around the bell and take photos. It is a free and quick exhibit. You will go through metal detectors and lines moves pretty fast if there is any. Usually in less than 15 minutes you will be able to enter and within 30-40 minutes (less if you are a fast reader) you will be done. Next to Independence Hall is Washington Square. It was a burial ground, years later a cattle market, and now a place that honors the memories of the Revolutionary War. 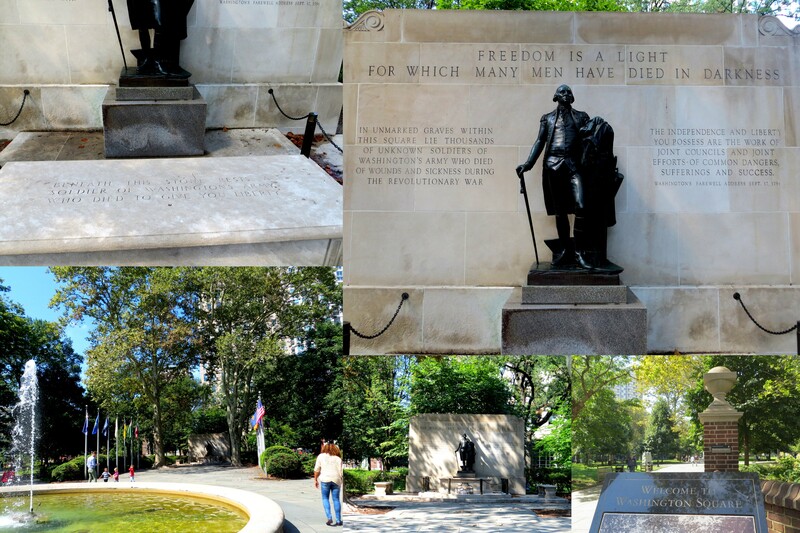 Below is the war memorial called Tomb of the Unknown Soldier of the American Revolution.